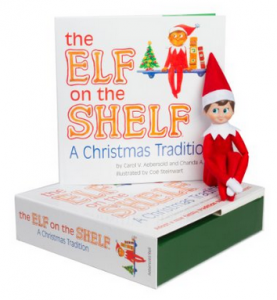 If you are planning to do Elf on the Shelf with your kiddos this year, you’ll want to grab this deal! Right now, you can get The Elf on the Shelf A Christmas Tradition with Blue Eyed North Pole for only $19.98 (reg. $29.95). We never saw a great deal last year so this is one I wouldn’t miss. Super Saver Shipping will be FREE with an order of $35 or more or get FREE 2-day shipping with Amazon Prime.